Accompanied by the Vienna Symphony and the Gumpoldskirchner Spatzen Children’s Choir, the three tenors resplendently sing 16 festive numbers with their trademark passion and vocal artistry. Highlights of the performance include their classical numbers such as "Ave Maria, Dolce Maria." Sung by all three tenors, this is an emotionally moving number filled with dramatic crescendos and heart-stirring notes. 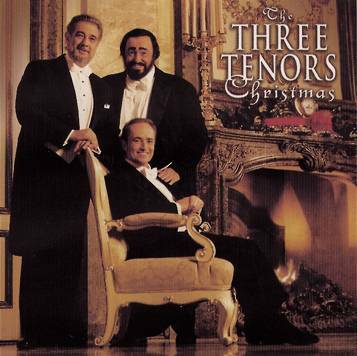 Likewise, Domingo and Pavarotti's duet of "Cantique de Noel (O Holy Night)," featuring the angelic voices of the children's choir and the mesmerizing power of the operatic tenors, seemingly reaches celestial heights. Set in an opulent concert hall against a backdrop of twinkling lights, THE TREE TENORS CHRISTMAS is a festive holiday collection capturing the joy and spirit of the season. THE THREE TENORS CHRISTMAS is supplied by C Major Entertainment in association with American Public Television’s Premium Service. With the financial backing of their public television client stations, APT Premium Service has secured many of public television’s most prestigious and highest-rated programs.